5 + = 10 Required Please enter the correct value. Amazon stock owners can start the week off with a smile, as the online giant announced another major catalyst for the AMZN stock price. 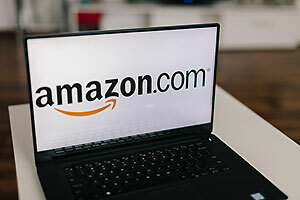 Amazon.com Inc. (Nasdaq: AMZN) announced yesterday (Sunday) that it will offer a monthly subscription option for its original television show and movies. Some analysts are skeptical of Amazon trying to compete with other streaming services. But there's a much bigger picture these analysts are missing. But before we get to that, Money Morning wanted to make sure investors knew more about Amazon's latest service. Before Sunday, Amazon Prime was only available for a $99 annual subscription. But now, users can sign up for a separate monthly subscription to just stream Amazon's movie and TV collection. The service is called Prime Video and costs $8.99 per month. Internet users will also be able to subscribe to the full Prime bundle, which includes free two-day shipping, access to music, movies, and TV shows, for $10.99 a month. The monthly subscription service for just movies and TV shows is an attractive option for customers who want a monthly plan over an annual plan. You see, Netflix Inc. (Nasdaq: NFLX) is increasing its monthly fee for longtime subscribers enrolled in its standard plan. Prices will jump from $7.99 to $9.99 in May 2016, which is a 25% increase. So the $8.99 price point may win over Netflix users who plan to drop the service before the cost increase. New subscribers will also be attracted to Amazon's strong list of exclusive shows. Its original program "Transparent" won the 2015 Golden Globe Award for Best Television Series. Amazon also has a deal with Woody Allen to air a full season of his new series at some point in 2016. Of course, the new subscribers to Amazon Video will be a new revenue source for the tech giant. But Amazon's biggest revenue source through streaming videos will be through its cloud computing infrastructure, Amazon Web Services (AWS). Amazon uses AWS to help its competitors stream video, and charges them handsomely to do so. You see, Netflix actually pays Amazon to run its business through Amazon's cloud service. It would cost Netflix hundreds of millions of dollars to create an infrastructure that could support its services, and there are very few cloud services that could handle Netflix's needs. Netflix won't share how much it pays for AWS, but AWS generated a massive $2.4 billion in revenue for Q4 2015. That was a 69.37% increase year over year. AWS totaled $7.88 billion in revenue for 2015. CEO Jeff Bezos correctly identified that companies would rather pay to "rent" out Amazon's technology infrastructure than to build their own. Companies like Uber, Ford Motor Co. (NYSE: F), NBC News, Domino's, and Capital One have already lined up to utilize Amazon's Echo device to connect with customers. And Amazon's powerful data infrastructure is part of the reason why AMZN made Money Morning Defense & Tech Specialist Michael A. Robinson's Internet "Dream Team" at the end of 2015. Analysts at Thomson First Call have a one-year price target of $732.78 for the Amazon stock price. That's a potential profit of 17% from its opening price of $625.18. The Bottom Line: The Amazon stock price today is climbing because of its new subscription service plan. While new subscribers will bring in additional revenue, its Amazon's position as a leader in cloud computing that will really benefit long-term investors. Analysts at Thomson First Call project Amazon's full-year earnings for 2016 will be $4.59 billion, which will be a 267% increase from 2015. Jack Delaney is an associate editor for Money Morning. You can follow him on Twitter and follow Money Morning on Facebook.